Lectures on Butler's Analogy of Religion to the Constitution and Course of Nature (by Joseph Napier, 1864). Mr. Napier’s Lectures on Butler's Analogy are much the sort of performance which might be expected from a veteran lawyer and politician who undertakes to expound a standard book on Divinity to an Association of Christian Young Men. They are a prolonged and almost, if not quite, unqualified eulogy, pronounced in a tone of the most solemn veneration, diversified by complimentary references to a number of writers of unimpeachable orthodoxy. Thus we read:—"On the last occasion on which I heard the late Prince Consort deliver a public address in London, he gave to this objection an answer full of truth and wisdom, and eminently characteristic of his sound and cultivated mind"; and again—"On the first interview which I had with" [the Earl of Eglinton] "just after his appointment to the Viceregal office, I anticipated the success of his career from a simple but significant observation which he made." In like manner we have— "Mr. Starkie in his excellent work on the Law of Evidence"; "Mr. Mansel in his admirable Essay on the Miracles"; "the masterly sermons of the Bishop of Ossory, &c."; "Dr. Salmon in his sound and admirable lecture;" "Mr. Smith, the respected minister of St. Stephen's Church, in his valuable treatise on the Miracles;" and so on. Two facts, however, are sufficient to give those who are accustomed to such reading the keynote, so to speak, of Mr. Napier's performance. He is always harping on the Inductive Method, and on the fact that Butler followed Bacon's precepts, and he is a great admirer of Dr. Whately's Historic Doubts about Napoleon. Of course no one can object to this. What, indeed, can be more delightful than the discovery that so much wisdom and goodness, such profound philosophy and delightful wit, should be found amongst the dignitaries of the Church, the State, and the Law, and that so many excellent, admirable, masterly, and valuable treatises should be so perfectly sound? 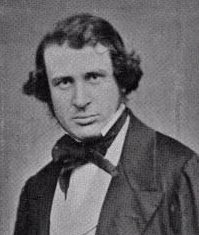 Perhaps it is desirable to take every opportunity of impressing Christian Young Men with a spirit of optimism; and the tendency to feel a certain surprise, not unmixed with amusement, at the length of Mr. Napier's list of persons who have made a good thing of both worlds, may be taken to prove a deficiency either in youth or in Christianity. Mr. Napier's style is the style of the place and of the occasion. The lectures, having been delivered viva voce, are sometimes clumsy and incomplete in expression, and, as frequently happens, he appears to have been infected by his author. Butler's warmest admirers will not deny that his style is grievously deficient in animation, and in that ease and clearness which a man of high animal spirits can put even into abstruse speculations. It is, for instance, far inferior to the style of Pascal or Descartes. Mr. Napier is apt in this respect to out-Butler Butler, and the comment, as a rule; is by no means so easy as the text. This is, perhaps, an inevitable difficulty, and is rather an objection to the publication of lectures on Butler than to their delivery. If such a man as Mr. Napier is kind enough to explain Butler to the Christian Young Men at Dublin, it is probable enough that he will lead many of them, who would not otherwise have done so, to read his writings; but the lectures themselves must, from the nature of the case, be a decoction of Butler, and as such are likely to do little to advance his fame or increase the number of his thoughtful students. It would, for obvious reasons, be impossible in this place to attempt any general notice of Butler's Analogy. It would be presumptuous to blame, and perhaps a little servile to praise indiscriminately, a book which is justly regarded as the ablest and most philosophical defence of the main doctrines of Christianity to be found in our language. It may, however, be observed in general that much remains to be said upon the subject, and that few books would be more important or interesting than one which, with strict truthfulness and perfect impartiality, should show what has really been proved by Butler, how far his arguments extend, and how they are related to the controversies of his own day, and to that supplement to them which is still in progress amongst us, and which in all probability will continue, in one shape or another, for many generations. The composition of such a book would be the work of years, and would require a thorough acquaintance with the controversial history and literature of the last two centuries. We propose, on the present occasion, to offer a few observations on certain isolated topics handled or suggested by Mr. Napier in the course of his lectures. This observation, which is perfectly true, and is generally invested with less importance by those who criticize Butler than it deserves, explains many of his characteristics, and especially some which it must be admitted are, to say the least, not conciliatory. No one can have read the Analogy, even superficially, without being struck from time to time by a tone of something like harshness, and a want of humanity which occasionally jars, upon the reader. It would be difficult to analyse the causes of an effect which is produced principally by style and by forms of expression; but every one must be conscious, on laying the book aside, of having been in the society of one whose estimate of his Maker's dealings with mankind recalls and suggests that of the wicked servant in the parable:— "I knew thee that thou art an hard man, reaping where thou hast not sown, and gathering where thou hast not strawed." The argument constantly seems to run more or less into the shape of an admission that Christianity is a very horrible thing, followed with the plea that, after all, it is not more horrible than the state of things already existing in the world. How far this is a fair account of Butler's theory, or how far, if it be his theory, the argument is sound, we cannot inquire here; but it should always be borne in mind by those to whom the book presents itself in this light, that a man can hardly be expected to do full justice to principles of which he disapproves, and on which he argues only under protest. He observes:—"These two abstract principles of liberty and moral fitness being omitted, religion can be considered in no other view than merely as a question of fact." No doubt Butler had a right to make the fact look as hard and dry as he could; and he is liable only to slight blame if he in some degree overstated its real hardness when he was debarred, by the conditions of the controversy in which he had embarked, from resorting to the abstract principles which he believed to be adapted not merely to silence objections, but to carry conviction to the conscience and feelings. It would almost appear as if the sternness of the Analogy were intended, more or less consciously, as a sort of inducement to accept the principles on the rejection of which it proceeds. This observation is important, not merely as an explanation of a tone in the Analogy which to many readers is not acceptable, but also for other reasons. In the first place, it suggests an inquiry at which in this place we can only glance, but which, if adequately carried out, would be of the highest interest. It is handled to some extent in the only one of the Essays and Reviews which was admitted by one set of critics to be harmless, whilst it was allowed by all to be able and instructive—Mr. Patteson's Essay on the Writers on Christian Evidences. The question is, what is the real relation between the transcendental theory of morality—"the abstract principles of liberty and moral fitness," to use Butler's phrase—and religious orthodoxy? In our own day, religious orthodoxy is generally found in company with a belief in some form or other, more or less modified, of transcendentalism. Few writers who would usually be described as orthodox base all our knowledge on experience, and refer all morality to the principle of expediency. Tins connexion, however, is by no means necessary, nor did it, as a fact, exist in the last century universally, or even generally. The names of Locke, Berkeley, and Paley are sufficient to prove this on the one side, and that of Shaftesbury on the other. It is quite possible to argue against any religious creed on the principle of "the moral fitness or unfitness of actions prior to all will whatever"; and Butler's argument in the Analogy can only be made to reach those who do so by arguing that the principles as to the moral fitness or unfitness of actions prior to all will whatever do not reach the case of Divine actions—that is, by surrendering them, as stated by Butler, altogether. There is no doubt the greatest weight in the arguments which Butler repeats on numerous occasions, and enforces with a great variety of illustrations, to show that men cannot presume to judge of the actions of God as they would judge of the actions of men, and that, as far as we are concerned, the facts of life and the world as it is must be taken as final. But there is great difficulty in reconciling this theory with the opinion, which Butler held no less strongly, of the moral fitness or unfitness of actions antecedently even to the Divine will. If such principles exist and are accessible to the human mind, it is hard to resist the conclusion that the human mind may object to the justice of what is alleged to be a Divine mode of proceeding. It must be admitted that there is some appearance in Butler of a disposition to play fast and loose with a priori reasoning—to say, "It is in fact perfectly true, and makes in my favour, but if you, my opponent, appeal to it, I will show you that no human creature can presume to apply it to anything which is alleged to be a Divine revelation." This of course does not affect the force of Butler's arguments as against those who do not believe in the transcendental theory of morals and knowledge. A full examination of the question, whether or not the criticism itself is well-founded, would be unsuitable both in character and in extent to these columns; but it would be well worth the while of any one who wished to do real justice to Butler to prosecute such an inquiry. He ought not only not to overlook that fact, but to give it the prominence which it deserves, and to add that those who hold this doctrine maintain that it is the only one by which either morality or religion can be set in a proper light. The name of Jonathan Edwards ought to have prevented Mr. Napier from saying baldly that "the scheme of necessity is misapplied when applied to the subject of religion." Edwards was as close a thinker, and in his own way as strict and pious a man, as Butler himself, and since his time the doctrine of Necessity has been held by writers not inferior to him in ability. The doctrine of Necessity means no more than that, if every circumstance connected with a man's choice under particular circumstances were perfectly known, his course of conduct could be predicted with certainty. The fact that he has no consciousness of any external compulsion shows merely that, in the one ease of causation of which we do by intimate experience know the nature, the causes do not compel the effect. This tends to confirm the belief that cause and effect are only other words for antecedence and sequence, but it does not in any way whatever interfere with religion or morals. A bad man does not cease to be a bad man because you know he is bad, nor does your knowledge affect your reasons for punishing him. The notion that, by analysing the meaning of the word "freedom," you endanger morality, is as irrational as it would be to fear that the analysis of water would disincline people to drink. An exact acquaintance with all the mental steps by which Palmer came to poison his victims no more diminishes my inclination to hang him, than the knowledge that water consists of oxygen and hydrogen prevents me from drinking when I am thirsty. It is a real defect in Butler that he did not deal candidly with the doctrine of Necessity, nor distinguish between the doctrine itself and the bad uses to which hasty persons might apply it. His chapter on the subject is open to the same sort of criticism as might be applied to a man who thought he had tripped up Berkeley's theory about matter by showing (as it would be easy to show) that a consistent disciple of Berkeley would act towards matter like all the rest of the world. No doubt he would, and if Berkeley was right, so he ought to do. No doubt the doctrine of Necessity is perfectly reconcileable with religion. So much the better for the doctrine of Necessity. The improbability of which he is speaking in this last passage is the improbability that a passage of Scripture, said to be prophetic of a certain event, should really be so, because, if it had been so, it would have been otherwise expressed. As to this, he truly says, “We scarce know what are improbabilities”; but he had already contended that a great internal improbability, rising even to moral certainty, may be overcome by almost any evidence. It seems to be clear, from these two passages, that Butler supposed that the chance against any common event—against, for instance, the fact that a man dressed in such a manner should at such a day, hour, and minute be seated in such a chair, reading such a sentence in such a book—is "a real internal improbability rising even to moral certainty," in the same way in which it is such an improbability that a man who has had his head cut off should carry it about in his hands. This further appears from his observation that, if any set of facts—such, for instance, as those which we have suggested—were to come into our minds without proof, "every one would, without any possible doubt, conclude them to be false." Surely he would be rash if he did. There is a great difference between concluding that an assertion is false and concluding that we have no evidence of its truth, and the difference between these two conclusions leads to the very distinction which Butler appears to have overlooked. Probability, or likelihood, as Butler himself observes, means ultimately the resemblance of an event to that course of things to which we are accustomed; and it may be added that the word "probable," as its form shows, means capable of being proved or certified. Chance, on the other hand, means an estimate of the extent of our ignorance. Suppose there are a million and one balls in a bag, one of which is to be drawn out. The chance against the drawing of any one is a million to one. The probability that any one of the whole series will be drawn is not capable of being numerically expressed. "When the drawing has taken place, it will be as easy to prove that any one number has been drawn as that any other has been drawn. We know that one ball will be drawn and a million left, that we should accept the same degree of evidence as to the actual occurrence of any one of the million and one possible events, and that we have no reason to predict the occurrence of any one' rather than that of any other. We express this by saying that the chance is a million to one against any particular ball, but that the statement that any given ball has been taken is in no degree hard to prove or improbable. The reason of this is that to take a ball from a bag, and to identify it by a number or otherwise, and to report that number correctly, is a very simple matter. Suppose that two men were to be beheaded, and that we were told that one of the two was to be brought to life afterwards. It would be an even chance which of the two was brought to life, but the improbability of the event is so great that hardly any evidence could prove it. These cases show the difference between a probability and a chance. In each case, for the purpose of calculating the chance, we assume an event which is to happen—the taking of a ball from a bag, or the raising of a dead man to life. This assumption being made, the calculation of the chance is matter of arithmetic. But the probability of the event depends on experience, which shows that some events do and that others do not resemble the common course of things. The chance selection of a particular ball out of a great number does resemble the common course of things. The restoration of a dead man to life does not. Hence, irrespectively of the question of chance, we call the one event probable and the other improbable, and Butler's expressions quoted above appear to leave this distinction out of sight. If he had had it fully before him, he would hardly have said that almost any evidence would "overcome a real internal improbability, rising even to moral certainty." All that such evidence will really do is to prove that an ordinary event took place, against which there was a great chance before it happened. For reasons which need not be stated here, but which any one may see for himself who chooses to read Butler's argument and a letter of Mr. Mansel's in which it is ingeniously explained, this misapprehension is of little practical importance. Butler was so cautious and circumspect that he scarcely ever made a mistake, and, if he did, he instinctively avoided its consequences. And the final result of his whole argument is, that thus much at least must be conceded, even by those who believe neither in free will nor in transcendental morality—that there is such a probability of the truth of Christianity that they ought to act upon the supposition of its truth, and that the doubtfulness in which the matter is left may itself be an element in the probation to which it has pleased God to subject them. This would constitute a real obligation to the practices of religion, and to the observance of the moral law. Had Butler lived in these days, he might perhaps have found occasion to remark that this is precisely the conclusion which a large number of people actually have adopted—that they do observe the practices of religion, and do admit the obligations of morality, and that they combine with this admission the keenest desire for information upon all matters of fact relevant to the subject, such as the true character of the Bible, the historical events connected with the establishment of Christianity, the degree in which human speculations have been mixed with Divine revelations, and the like. All these inquiries are, upon Butler's principles, perfectly legitimate, and they are the natural complement of that state of provisional and, so to speak, prudential belief which he did so much to inculcate. It would be unfair in the last degree to insinuate that he inculcated nothing more. His sermons were addressed to a different class and written in a different tone, but on that point we must not trespass. Saturday Review, September 24, 1864.